What better way to celebrate April Fools day than with a Garritan Weekend Challenge celebrating Joseph Haydn and PDQ Bach? If you’re not a music history buff, you may be scratching your head at the connection. Haydn is famed for his sense of humor. His compositions contain many little musical jokes within their measures. 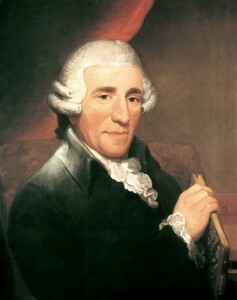 Haydn’s Surprise Symphony might be the most famous of all, appropriately nicknamed for it’s fortissimo chord at the end of an otherwise calm piano introduction in the second movement. Learn more about Haydn’s Surprise Symphony if you’re not familiar it. You’ll stumble upon more hilarious stories about Haydn’s musical pranks the more you study him. Perhaps you’re more of a P.D.Q. Bach fan. P.D.Q Bach is the 21st of J.S. Bach’s 20 children. 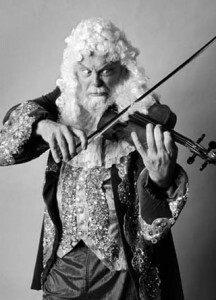 His music parodies period music primarily in the classical genre. If you’ve taken a few music history or composition classes and wondered why you’re required to adhere to so many seemingly ridiculous rules of counterpoint and instrumentation, you’ll no doubt find P.D.Q Bach’s music hysterical. This weekend, let’s honor musical pranksters by writing a tune in any style, that includes a hidden joke for us to find. From an outrageous trombone slide in a renaissance period piece, to a tritone in a Baroque composition, to an oboe solo in a marching band piece, give us your best april fools composition. But it’s not too late to participate. Just leave your SoundCloud link in the comments section below and we’ll ad your composition to this playlist. You may remember how our challenges work if you are a regular to the Garritan Weekend Challenge. If you’re new to the Garritan Weekend Challenge, welcome! This is simply a chance for you to practice composing and using Garritan sounds so when your next big composing gig hits, you’re well rehearsed. You can share your music in the comments section below or publish your tune on SoundCloud. It is a great opportunity to have other composers review your work. Most of all, it’s fun.